Is this an Eagles song? Guilty Non-Pleasures is a new column featuring essays on albums and artists we’re supposed to love, but don’t. Written begrudgingly by the Paste Music Team. I’m approaching the last three minutes of Pavement’s landmark 1994 album Crooked Rain, Crooked Rain, and I can’t wait for it to be over. I mean, “Fillmore Jive” is essentially unlistenable. What is Stephen Malkmus saying? I can’t even hear him, grumbling maniacally beneath heavy layers of fuzz. “I need to sleep,” he eventually breaks through (I wish he would). Then come the guitars. Long, laborious, punishing solos that seem never-ending. Is this an Eagles song? I know that people are into this record—like, really into it—but I’m just not. I’ve spent the last 29 years avoiding Crooked Rain in its entirety, and now I know why. I may not like Pavement very much, but it’s hard to escape them. I like a lot of contemporary bands that borrow from their sound, including Ovlov, Pile, and Spit. In 2012, when Parquet Courts hit the scene with Light Up Gold, some critics called them second coming of Pavement, and that album remains one of my all-time favorites. “Cut Your Hair,” the lead single from Crooked Rain and the band’s only radio hit, is the first song I learned to play on bass, because it’s easy: four notes, over and over and over again. That’s not a dig—if I had to choose a favorite Pavement song, “Cut Your Hair” would be it. I’ve never been a believer in using more notes than you need, which is why I tend to gravitate toward music that is clean, precise and intentional. I love dark, sleek post-punk—basically the exact opposite of Pavement. But when it comes to “Cut Your Hair,” you can’t deny a sick hook. Crooked Rain, Crooked Rain in its entirety, though—hard pass. After listening to Malkmus shred and whine for 42 minutes straight, I’ve accepted that this record, though widely considered a classic, is still not for me. It does offer certain glimmers of hope: the piercing closing riff of “Silence Kid” is simply killer, and the middle section of “Stop Breathin” is sparse and tense, sort of like if Car Seat Headrest jammed with The Velvet Underground. “Unfair” is catchy, too, but I already had my Weezer phase in high school. I do find Malkmus’s lyrical snark extremely appealing; his penchant for directly confronting the absurdity of his art is almost Duchampian. He’s really smart, man. Not even a hater like me would deny it. But is he too smart? 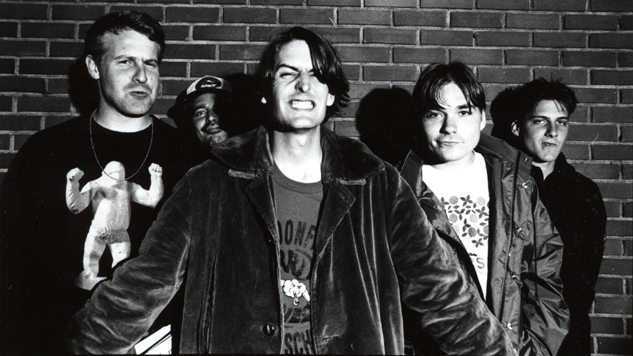 For decades, Pavement have remained the poster band for slacker rock, a sort of non-genre characterized by deadpan vocals and sarcastic lyrics that punctured the self-seriousness of the grunge set. (Other oft-cited members: Dinosaur Jr., Meat Puppets, Guided by Voices.) But after revisiting Crooked Rain, I’m convinced that Pavement must have put a lot of thought into their sound. Malkmus may have been the face of laid-back, California dude rock, but from its touches of alt-country twang to its lavish stretches of sonic landscape, Crooked Rain feels entirely cohesive and well thought-out. There’s a reason I’ve preferred tenser, more methodical ‘90s bands like Unwound and Helium, but it’s not because those bands are better, or put more effort into their work. For me, instant connection has always been important; if I have to listen too deeply, or sit through a song over five minutes long, I can lose interest. In that respect, maybe I’m the lazy one, not Stephen Malkmus. You’ve got to admire Malkmus’s attitude here. There’s nothing more ludicrous than being in a band, and nothing feels more vulnerable than opening yourself up to a world that’s going to love you, hate you, or (most likely) some tortured combination of both. If you don’t have a sense of humor about it—and okay, maybe a hedonistic solo or two, if you’re so inclined—then you shouldn’t do it at all. It’s for this reason, among many, that Pavement have been so beloved for so long. I can’t, and I won’t attempt to knock that. But I will stick with “Cut Your Hair,” and only “Cut Your Hair.” Four notes is all I need.